Dubai: The new Dh10 million winner of Big Ticket Abu Dhabi has finally been found, organisers confirmed on Wednesday afternoon. "We have found the winner. We know where he is and he knows he has won Dh10 million," Richard, who conducted the raffle draw said in a video. He said Ravindra will come forward to claim the prize at the Abu Dhabi airport next month. Earlier on Thursday, organisers of Big Ticket in Abu Dhabi were still tracking down the latest winner of the Dh10 million jackpot prize, nearly 24 hours after his name was picked from thousands of raffle coupons. Ravindra Boloor from India was declared new multi-millionaire at a grand draw in Abu Dhabi Wednesday night, but as of this writing, he is not aware he’s coming into serious money. “We’ve been trying to speak to him, but unfortunately he’s not reachable. We just found out the phone number he registered with the winning ticket is not his,” a source from Big Ticket told Gulf News. Ravindara's lucky ticket, bearing numbers 085524, only shows very limited details: he’s from India but based in Abu Dhabi. There’s a UAE-registered mobile number shown on the coupon, but when organisers tried to give it a call, a woman answered. “Ravi is not here. He’s in Mumbai. Please call after one week because he’s not reachable at the moment,” she told the draw’s host, Richard. She assured, however, that Ravindra will be back in the UAE later this month. When pressed for more information, the woman who answered said she’s the daughter of Ravi. Organisers have also launched a social media campaign to find the winner. “I need your help. There is a man walking around Mumbai right now and he doesn’t know that he is a multi-millionaire. We chose his number last night at the Abu Dhabi Airport Big Ticket draw. 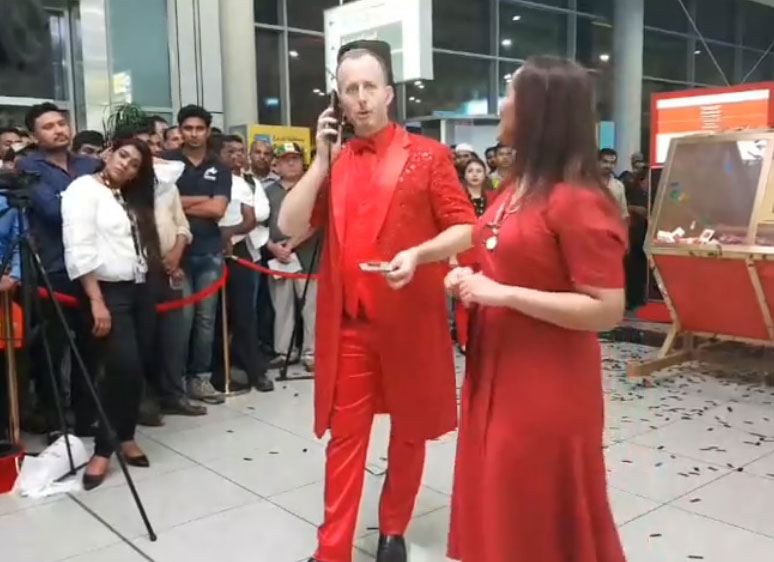 We can’t get hold of him and his daughter told me that I can speak to him after one week,” said Richard, who regularly conducts the Big Ticket draw, in a video shared in social media. As of past 4pm on Thursday, organisers said they have yet to locate or contact the winner. This is not the first time a Big Ticket winner has gone missing. In September 2017, raffle organisers desperately searched for Indian national Manekudy Varkey Mathew for days. He was unreachable because he was on vacation in India at the time of the draw and the phone he was using broke down just after he landed in his home country. Big Ticket had said earlier that winners have six months to claim the prize.